It’s been a year since a ruthless serial killer terrorized the city, but once again the bodies are piling up. As renegade special agent Ethan Thomas, you are society’s last defense against the darkness threatening to consume us all. For the first time, the Condemned universe supports up to 8 players in 4 thrilling online modes. Expanded to include more items straight from the environment like tire irons, bricks, toilet seats and flaming mannequin arms. New vicious combo attacks and finishing moves. 02-13-2019 silverbow Box Text DESCEND INTO CHAOS… It’s been a year since a ruthless serial killer terrorized the city, but once again the bodies are piling up. As renegade special agent Ethan Thomas, you are society’s last defense against the darkness threatening to consume us all. 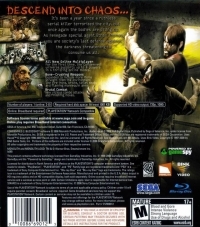 All New Online Multiplayer For the first time, the Condemned universe supports up to 8 players in 4 thrilling online modes. Bone-Crushing Weapons Expanded to include more items straight from the environment like tire irons, bricks, toilet seats and flaming mannequin arms. Brutal Combat New vicious combo attacks and finishing moves. 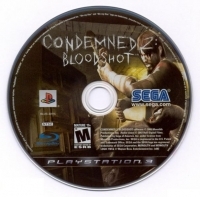 This is a list of VGCollect users who have Condemned 2: Bloodshot in their Collection. This is a list of VGCollect users who have Condemned 2: Bloodshot in their Sell List. 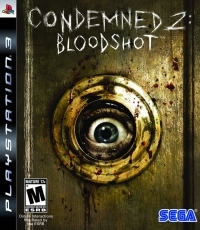 This is a list of VGCollect users who have Condemned 2: Bloodshot in their Wish List.